Point, shoot and . . . surprise! 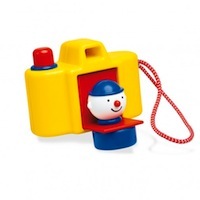 A funny clown pops out when the button is pressed. 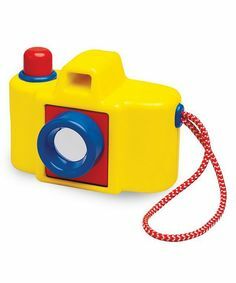 With a squeaker button and a see through viewfinder this ‘first camera’ is sure to provide the child with endless fun.